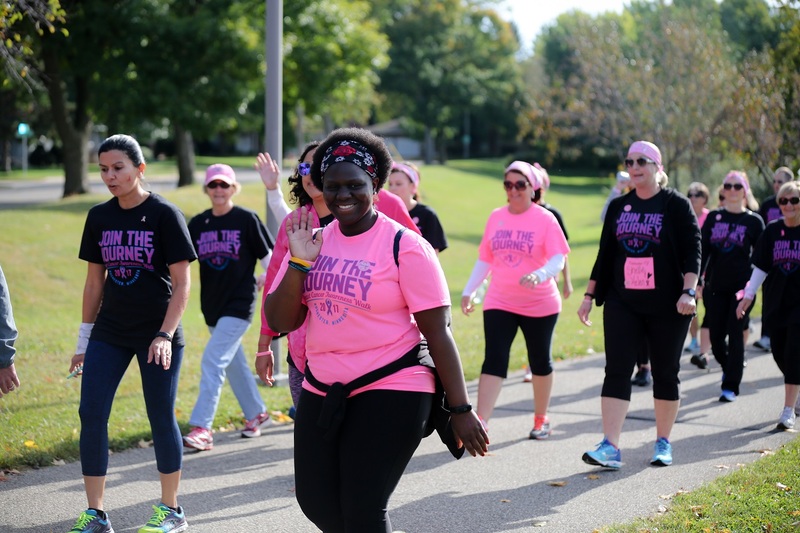 Join the Journey's mission is to promote breast cancer awareness in our community and to provide support to individuals on their breast cancer journey. Money raised here stays here! Included with your registration donation: entry to pre-walk education booths, 2018 walk t-shirt, kids scavenger hunt, post-walk entertainment and lunch. Raffle tickets are also available for purchase. For security reasons, credit card payments are only available with registrations submitted by you on this site. We cannot take credit card payments over the phone. Cash and check payments will be accepted with our paper registration forms available in May. Top Individual fundraiser will receive a special sash to wear on walk day and their name will be posted on the Join the Journey website. Top Fundraising Team leader will receive a special sash to wear on walk day and their team name will be posted on the Join the Journey website. To be considered for fundraising awards and incentives, your funds must be received by 11 a.m. on Saturday, September 15th. The Join The Journey Breast Cancer Awareness Walk takes place "rain or shine". Because your registration is a donation to Join The Journey, we cannot provide refunds for any reason. All registrations are final. Fundraising will continue through the walk, but to be considered for fundraising awards and incentives, your funds must be received by 11:00 am TODAY! Walk as much as you feel comfortable. Shuttle buses available.